Center scientists are developing computer models to study the polar oceans. These models, when compared to observations, allow us to test our understanding of the physical and biological processes in the polar oceans. They also let us make predictions of potential future changes on seasonal, interannual, and decadal time scales. PSC is a world leader in ice‒ocean modeling. The Pan-arctic Ice Ocean Modeling and Assimilation System (PIOMAS) is a workhorse applied to many of our studies. The Global Ice Ocean Modeling and Assimilation System (GIOMAS) is used to investigate both the Arctic Ocean and the Southern Ocean. The Bering Ecosystem Study ice‒ocean Modeling and Assimilation System (BESTMAS) is used for high-resolution studies of the Bering Sea. Our ice‒ocean modeling system has been expanded to model biological processes including primary production, nutrient cycling, and plankton functioning (the Biology/Ice/Ocean Modeling and Assimilation System, BIOMAS). Our atmospheric modeling team is using the Weather Research and Forecast Model (WRF) to examine the impact of sea ice changes on clouds, precipitation and the distribution of heat within the Arctic. The overarching goal of the MIZMAS project is to enhance our understanding of MIZ processes and interactions, and to strengthen our prediction capability of future climate change, particularly the changes in both the ITD and the FSD, in the CBS. We propose numerical investigations of the historical and contemporary changes in the sea ice and upper ocean of the CBSMIZ. We also plan to investigate future changes of the CBSMIZ under global warming scenarios. These investigations involve new and potentially transformative theoretical and numerical work to develop, implement, and validate a new coupled ice–ocean Marginal Ice Zone Modeling and Assimilation System (MIZMAS) that will enhance the representation of the unique MIZ processes by incorporating a FSD and corresponding model improvements. Project investigators aim to improve upon the existing seasonal ensemble forecasting system and use the system to predict sea ice conditions in the arctic and subarctic seas with lead times ranging from two weeks to three seasons. Significant changes in arctic climate have been detected in recent years. One of the most striking changes is the decline of sea ice concurrent with changes in atmospheric circulation and increased surface air temperature. Schmidt, G.A. and others including J. Zhang, Configuration and assessment of the GISS ModelE2 contributions to the CMIP5 archive, J. Adv. Model. Earth Syst., 6, no. 2, 141-184, doi:10.1002/2013MS000265, 2014. Lindsay, R.W., J. Zhang, A. Schweiger and M.A. 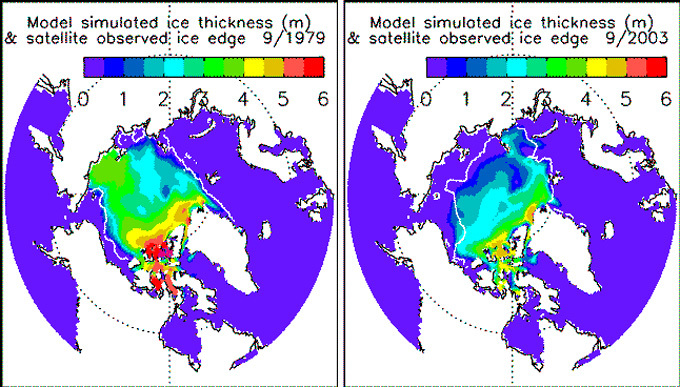 Steele, “Seasonal predictions of ice extent in the Arctic Ocean”, J. Geophys. Res., 113(C2), 2008. 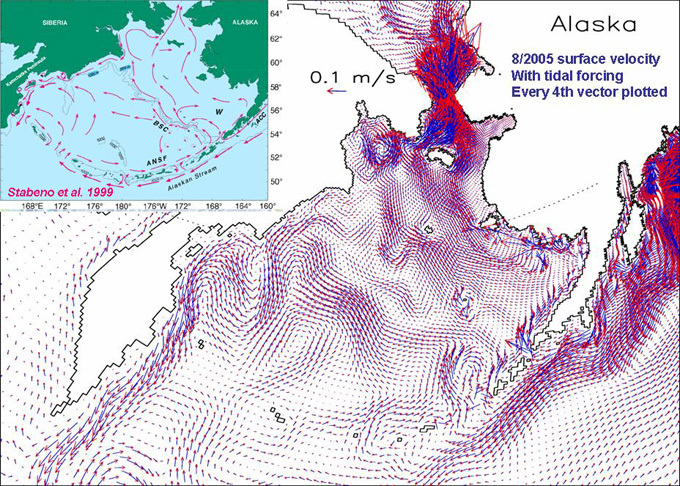 Proshutinsky, A., I. Ashik, S. Hakkinen, E. Hunke, R. Krishfield, M. Maltrud, W. Maslowski, and J. Zhang,’ Sea level variability in the Arctic Ocean from AOMIP models’, J. Geophys Res., 112, C04S08, doi:10.1029/2006JC003916, 2007. 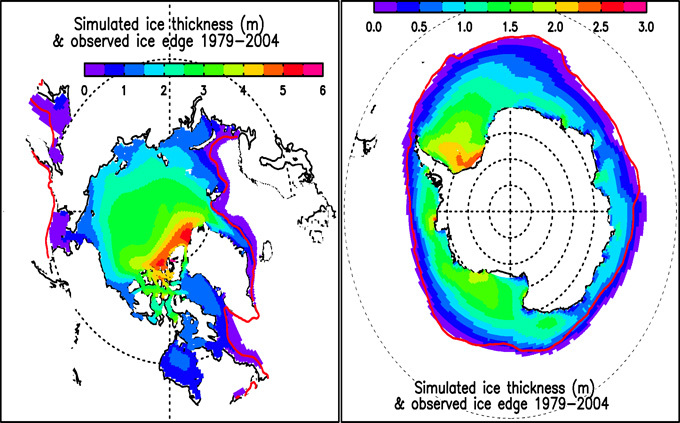 Lindsay, R. W. and J. Zhang, “Assimilation of ice concentration in an ice-ocean model”, J. Atmos. Ocean. Tech., 23, 742-749, 2006.